Design on King's Interior Design philosophy is to bring urban design style to those who appreciate current design delivered with an approachable manner. Client / Designer partnerships that develop from insightful initial reviews through to completed environments that reflect client personality and lifestyle. Monaco Interiors is a full service Residential and Commercial Interior Design company, established in May 2001. Our commitment to client needs and high design standards is key to creating confident and long lasting relationships with our clients. At Monaco Interiors, design methods emphasize working with clients to determine their requirements, budgets and dreams in order to create wonderful living, office and commercial spaces. We provide each client with not only our expertise, but with the best possible trades in the industry. We pride ourselves on using trades that are both reputable and comfortable to work with in order that our clients enjoy a relaxed and stress free environment while their design is implemented. It is our job to help you create your perfect space. We are committed to customer satisfaction. Regardless of your budget and project size, we are here and ready to help you with any of your Interior Design and renovation needs. We are a Full Service Interior Design & Construction Firm specializing in renovations, additions and new builds in the Vaughan area. Allow us to create a unique space, tailored to your needs & style. We are a small boutique design studio based in Toronto. Making a space functional through good design decisions is our priority. Our goal is to bring the best design experience to our clients. Good communication is the key of our service; listening to our client’s needs and present our ideas in the ways that every client can understand. We also serve as the bridge between the client and the contractor to prevent any miscommunication. Let us help you to transform your space with style and function. 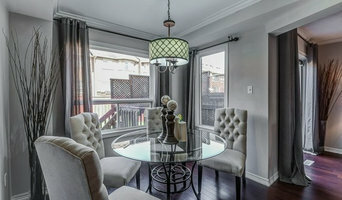 Here at Gta Fine Interiors we are dedicated to reaching full client satisfaction. Our love for design and art can start either from you Loving your home but needing a refreshment OR Selling your home and needing a helping hand with staging. We have a range of possibilities for you through our knowledge, experience and connections with reliable trades if you wish for us to manage your project. That being said, you will love the rewarding results of either your 'Sold over asking price' home or 'Loved to the end of time' home. Our phenomenal team is dedicated to creating exclusive designs that reflect each individual and their personal needs and tastes. We believe your home should be a reflection of who you are. We help our clients create beautiful AND family friendly spaces that they love! Are you thinking of re-decorating part of your home but don’t know where to begin? Do you want to decorate for a special occasion or for the holidays? Let me help you. I will work with you throughout the entire process, from choosing the paint colour to shopping with you for the items or helping you set a beautiful table for your special occasion. From the initial consultation to laying down the rug on new floors, I provide clients with guidance throughout the entire process. Take a look at my portfolio and if you like what you see, schedule a consultation today. The first one hour consultation is no cost, no obligation. 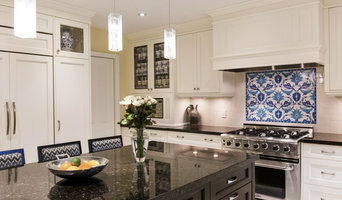 Since 1948 Irvine Robinson Interiors has been offering home furnishings and complete interior design services. We consider ourselves a ‘one-stop-shop’ for all your interior design needs.